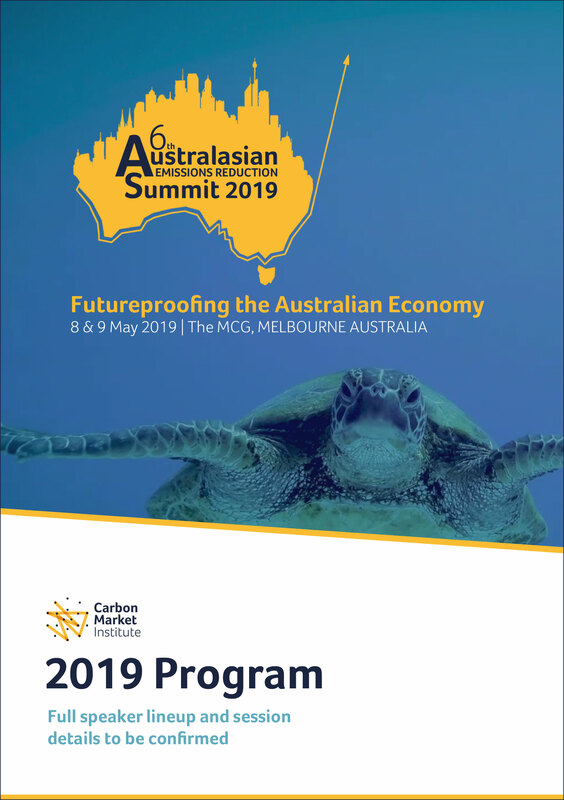 The 6th Australasian Emissions Reduction Summit will once again be the largest climate change and business event in Australia and take its place of increasing regional interest and influence. In 2019, the Summit will host 600 national & international delegates from business, government, technology & finance for knowledge exchange & commercial interaction on how to manage risk and opportunity in the transition to a low carbon world. Climate change will continue to affect Australia in different ways - from health, security and human migration, science, technology and innovation. In our Inspiration Bursts, you'll hear thought provoking 'TED Talk' style mini-presentations from a wide range of experts, and look at the challenge of climate change through a different lens. As the rules around Article 6 of the Paris Agreement develop in the coming months, we will join with national and international experts to discuss the implications of evolving international carbon markets for Australian business, and where the opportunities are to engage and optimise our position in regional trading markets as they develop to 2020 and beyond. Business is quickly moving ahead of domestic policy settings to take advantage of the opportunities in the zero-carbon transition that's underway. What is the role of the private sector and how can it accelerate climate ambition, transform operations, finance global decarbonisation at scale, and manage climate risk? In the lead up to the next Federal election in 2019, it is critical that all sides of government outline how their climate and energy policies will evolve to meet Australia's 2030 targets set out under the Paris Agreement - and how they will futureproof our economy from the increasing impacts of climate change. Many State and cities around Australia are setting ambitious climate targets, and embedding these considerations across government. How can business engage with states and cities to drive the implementation of low-carbon solutions and technologies at scale? The vision for the domestic carbon farming industry and its critical role in contributing to Australia’s emissions reduction target has been defined by the Australian Carbon Farming Industry Roadmap. How do we drive key innovations and action on the ground? How can the four pillars of industry development be catalysed to drive growth and scale up abatement to meet growing demand? The global low-carbon transition is underway, but this economic transformation must include and support the most vulnerable communities and workers. 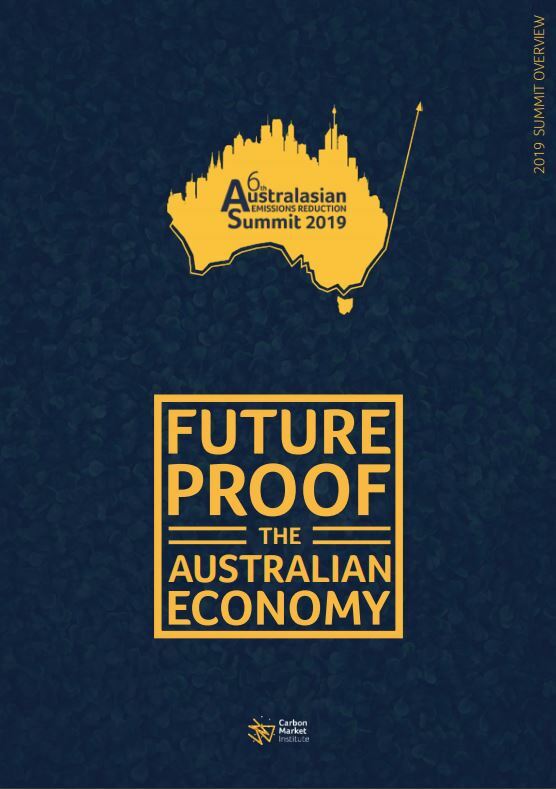 How can Australia achieve a low-carbon, climate-resilient economy that mitigates the social, employment and health impacts of climate policies, whilst assuring stability and equality of opportunity as well as democratic consultation and economic prosperity. Our pale blue dot is our only home, and we must protect it for future generations. What inspires us to change and innovate? How do we personally connect with the challenges ahead, and find the courage to become leaders in the greatest environmental, social and economic transition in history? In 2018, women accounted for 43% of our Summit delegates and speakers. We're working to ensure more women in climate change are represented in 2019, and will again be celebrating their achievements and potential at our next Women in Climate Breakfast. This light-hearted comedy debate rounds out the official Day 1 Summit program. Sit back and relax as two teams comprising some of Australia’s most prominent climate change face off to debate a ‘tongue in cheek’ hot topic - laughs guaranteed. Making personal connections with your peers and with climate change, business and policy leaders is a key part of the Summit's side event program. Have private meetings, chat over lunch, or share a relaxed sunset drink with delegates to close Day 1. In 2019 we will host a networking evening to remember. Join us for a carbon neutral fine dining experience, great company, and enjoy entertaining, thought-provoking keynotes at the 2019 Summit Gala Dinner. After dinner, join us at a secret Melbourne rooftop location for a late night drink and mix off the clock with your fellow Summit delegates. Make personal connections and build commercial relationships whilst exploring the exhibition hall designed to showcase the brands and organisations leading Australia's net-zero transition. NOTE: The Full Registration does NOT include the Gala Dinner. You can upgrade to include the Dinner, by choosing the Full Registration + Dinner option. Become a Professional Network Member and save on Summit Registration! Join CMI as a Professional Network Member (annual membership fee of $150) and you’ll receive a $250 discount on the full non-member registration. Including the Professional Network Member Fee you still save $100 off the full non member rate!